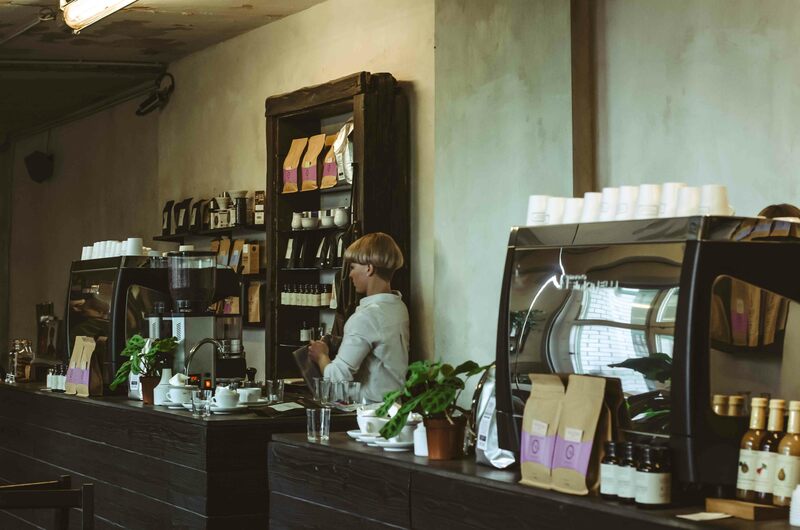 Kreuzberg’s gem – Companion Coffee | THE CURIOSITY. 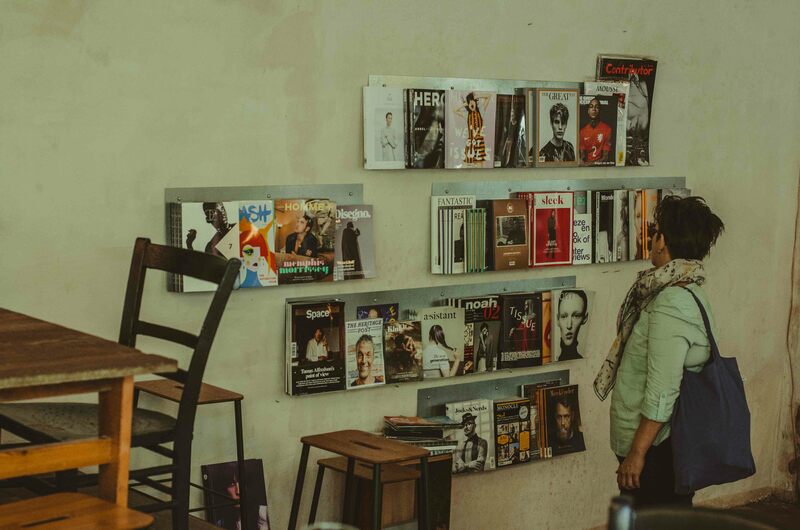 Third wave coffee companies over the last decade have been occupying mixed-use spaces, ranging from barbershops to libraries. 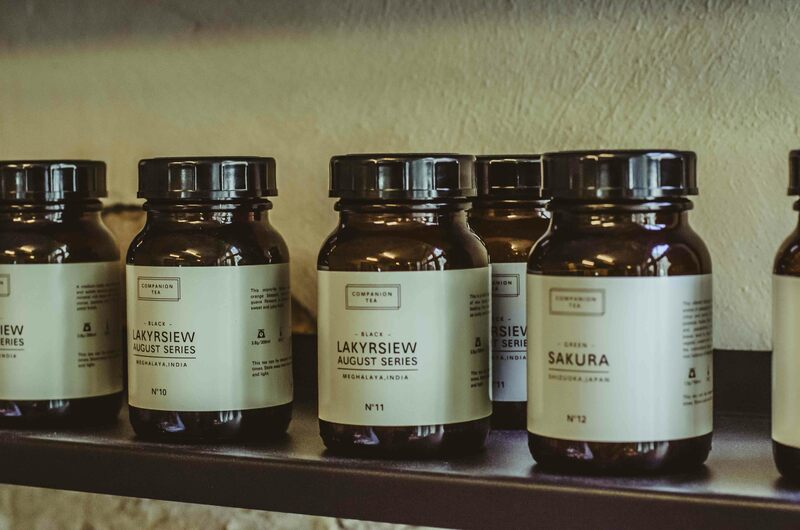 That way specialty coffee has become in the centre of community, finding its home in unexpected locations. 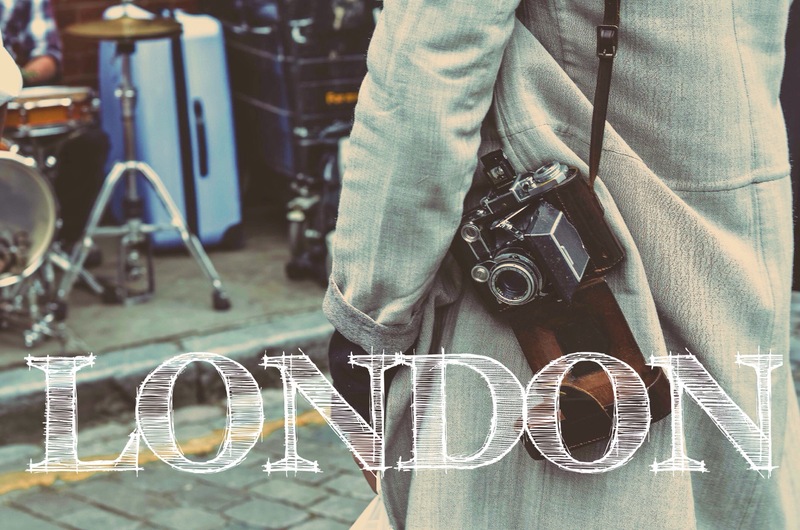 Companion Coffee, brought by Shawn Barber and Chris Onton, settled in East Central part of Berlin and operates in association with trendy clothing boutique, known as ‘Voo Store’. It is a tiny space for a coffee shop. However, as the café space is extended with a spacious concept store, it creates different types of casual seating. Some sipping coffee on stairs, some sitting on stools, others reading magazines at the concrete tables. There are a few natural layers and all of them present different perspectives and different experiences. The walls and ceiling are roughly whitewashed; the atmosphere is casual, yet trendy. A contrast between concrete and vivid green plants gives an impression of an urban jungle. 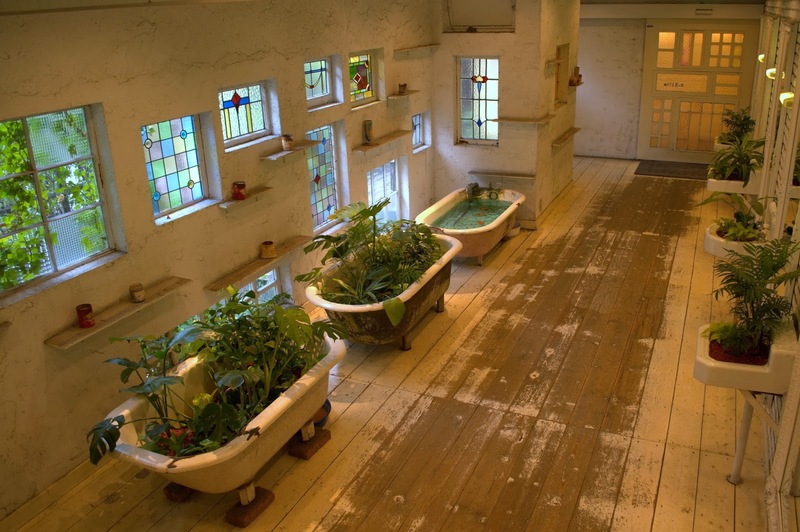 A bath in the corner of Companion Coffee brings back memories of funky Kyoto Hanjiro shop, where not only bathtubs but also sinks are blooming with greenery (maybe something that will appear one day in Companion Coffee). It may safely be said that Companion Coffee counter is the best in Kreuzberg when it comes to a perfectly poured flat white or heart-warming service. Since opening in 2013, Companion Coffee has been constantly serving great coffee to the neighborhood that has earned a dedicated following. And when we talk about good coffee, we mean that velvety kind of coffee that sends chills down your spine. The owners Shawn and Chris are like the Berlin version of Dunne and Frankowski, if we compare their importance in the city’s coffee scene. 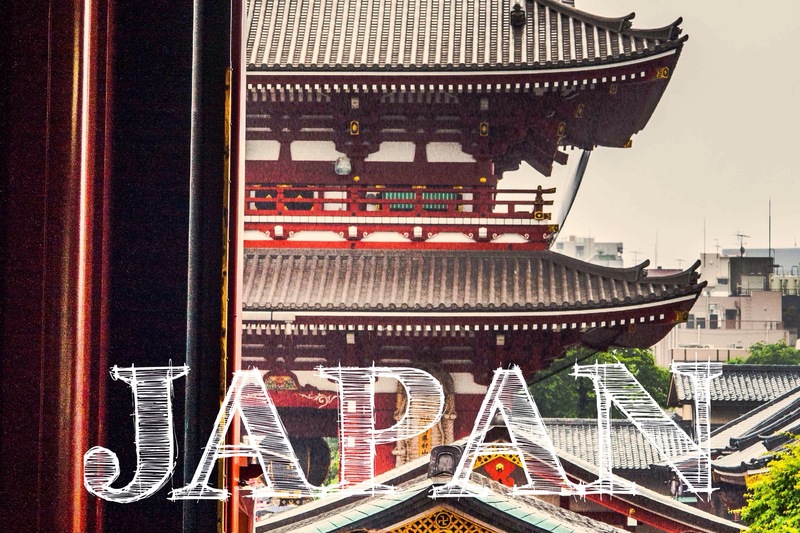 They are known for building a strong brand, training baristas, spreading their coffee/tea philosophy and at the same time experimenting with the concept of the coffee shop. Before opening their own business, the most talented baristas Shawn and Chris helped Ralf Rüller to set up the The Barn in its early days. Companion coffee does not settle with only one kind of beans. A great variety of roasts from different countries, including a local Barn roaster, are available behind a dark wood brew bar. It mostly depends on the day of your arrival, which beans you will find in a coffee grinder ready to be extracted as a shot of espresso (all coffee and tea costs €2,5). Currently they are serving a kicking Columbian espresso roast by London Notes coffee roasters. A medium body coffee is full of rich chocolate and fudge notes and the acidity of red berries. As noticed, Berlin’s milk-based coffee drinks are much lighter compared to London ones. Companion Coffee offers a pleasant balance between milk and espresso, which tastes rich as Notes espresso has enough body to cut through the milk. Companion’s latte and flat white are strong with well-balanced flavors, finished with a smooth, chocolatey sweetness. 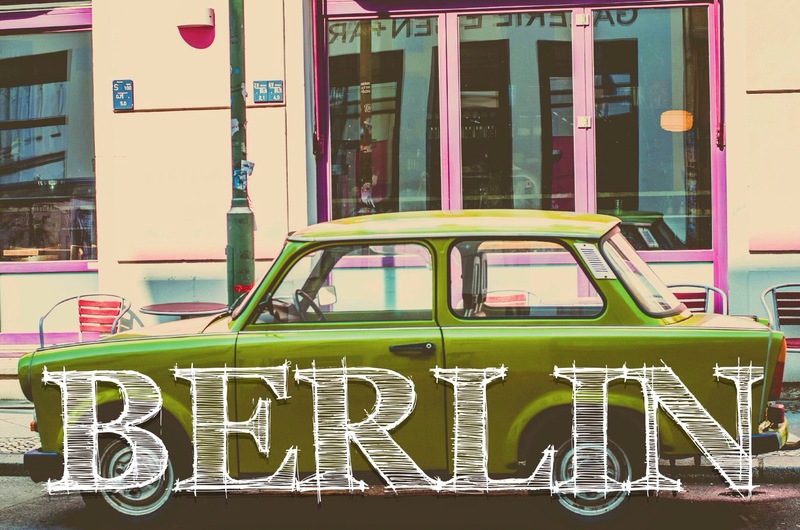 In the bare concrete space, coffee is not the only thing that makes this place special in Berlin. Bubbly and highly experienced barista behind the counter, Janne, pours effortlessly latte art, as if she could do that with her eyes closed, and greets everyone, as if they are her old-time friends. Always wearing a smile on her face, she shares her passion and enthusiasm for coffee with Companion’s guests. 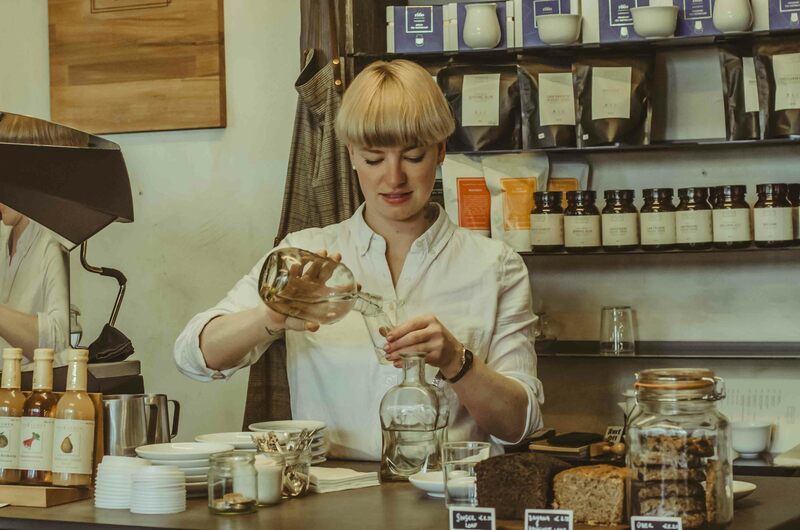 Interestingly, Janne has been trained under DunneFranowski in London’s Protein shop, and then worked in Notes coffeehouse, the same coffee roaster she is serving at the moment. It reveals that the owners were very picky when choosing their staff, considering experience as well as dedication to coffee industry. 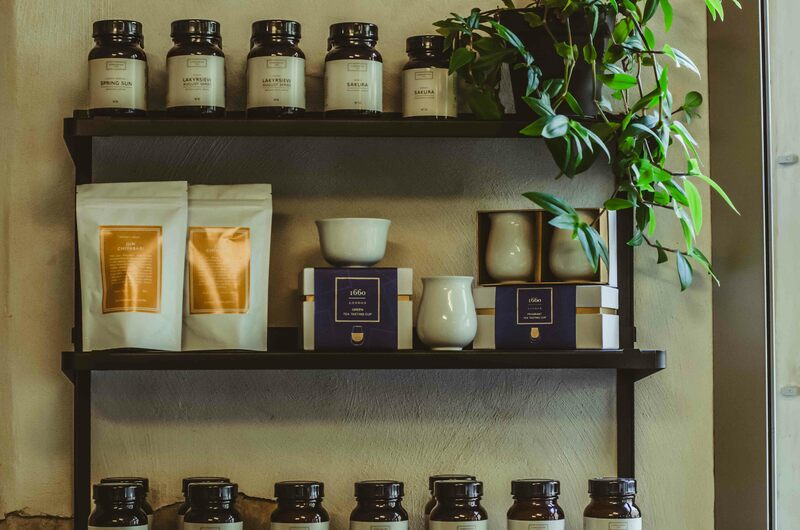 While Companion Coffee has been offering an excellent cup of coffee for locals and coffee lovers, Chris Onton and Shawn Barber are increasingly getting famous with their own line of single-origin and directly imported ‘Companion Tea’. Absolute quality focus in everything they do will drive Companion Coffee to expand and hopefully soon enough their exceptional cup will reach not only Berliners, but also other parts of the world.